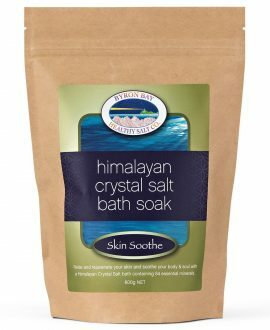 Rapid Recovery Muscle Recovery 1kg NET - Byron Bay Healthy Salt Co. Rapid Recovery is the go-to bath salt formula for professional athletes and health enthusiasts to ensure they perform at optimum level. Fantastic to use after a stressful day or to revitalize & pamper yourself before a night out or special occasion – after all you deserve it! It’s like having your own day spa at home, whenever you need to feel refreshed and ready to go! 100% Pure essential oils added: Bergamot, Sandalwood, Rose Geranium, Frankincense, Lavender, Lime, Orange, Lemon, Veviter. Our Magnesium is Gold Label BP Grade and complies with pharmaceutical standards which identifies it as premium grade. DIRECTIONS: Simply add 2 cups to your warm bath, stir until crystals are dissolved. Excess adrenaline and stress are believed to drain magnesium, a natural stress reliever, from the body. 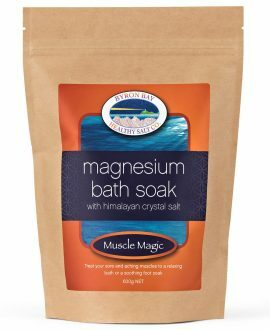 Magnesium is necessary for the body to bind adequate amounts of serotonin, a mood elevating chemical within the brain that creates a feeling of wellbeing and relaxation. Fantastic to use after a gym work out, a day of hard labour, a stressful day at the office or too much housework! 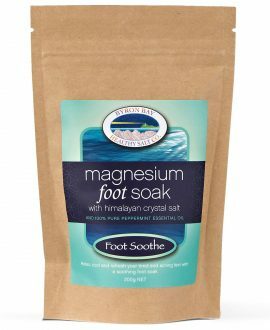 Sprains and Bruises: Magnesium, Epsom salt will reduce the swelling of sprains and bruises. Add 2 cups to a warm bath, stir until dissolved and soak. 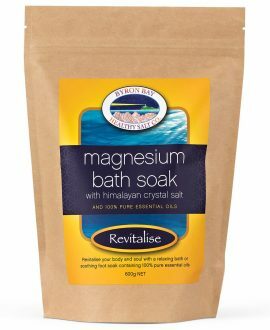 Our Magnesium is Gold Label – BP Grade and complies with pharmaceutical standards which identifies it as a premium grade salt. DIRECTIONS: Simply add 2 cups to your warm bath, stir until crystals are dissolved, Relax and Enjoy! Had a hard day on your feet? Are your feet tired, sore, aching and in need of some attention? Relax, soothe and refresh them. Foot soak leaves feet feeling clean, refreshed and odour free, perfect as part of your pedicure or self pamper ritual or just to give your feet a treat! Peppermint Essential Oil soothes, cools and refreshes sore & swollen feet. Tea Tree Oil is anti-fungal, anti-bacterial and helps removes foot odours. Combined with Epsom Salts, it softens rough skin and callouses. DIRECTIONS: Just add ½ cup to your foot bath. Stir until crystals are dissolved. Soak feet. ATTENTION: For external use only. As always, check with your healthcare professional before use in pregnancy. For external use only. Fantastic to use after a stressful day. An easy way to replenish and hydrate your skin and help it glow. It’s like having your own day spa at home, whenever you need to feel refreshed and ready to go! DIRECTIONS: Simply add 2 cups to your warm bath, stir until crystals are dissolved. Relax and Enjoy!